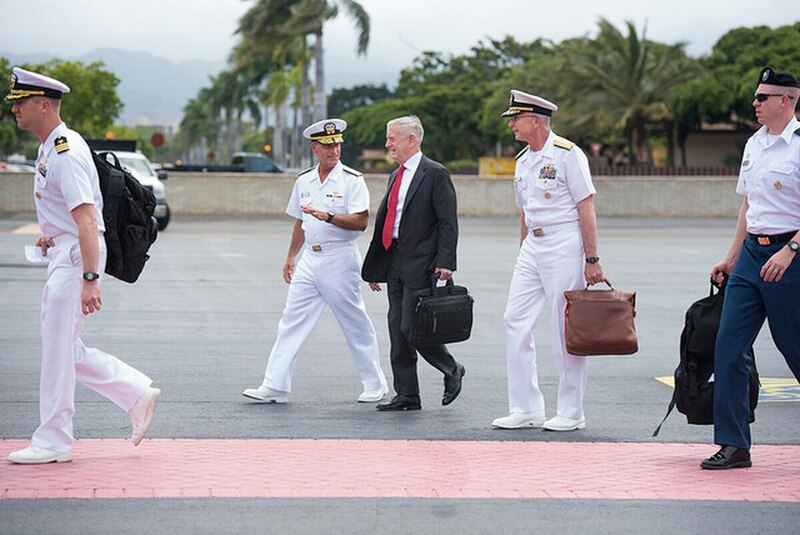 Defense Secretary Jim Mattis announced Wednesday that U.S. Pacific Command would now be called U.S. Indo-Pacific Command, in the latest move to counter Chinese economic and military pressure in the region. China was just uninvited from a massive naval exercise. Here’s why. The withdrawn invite follows a directive by the Pentagon to remove Chinese cellphones, other devices from exchanges over espionage fears. Mattis made the remarks at the change of command ceremony in Pearl Harbor for incoming INDOPACOM commander Adm. Phil Davidson. “In recognition of the increasing connectivity of the Indian and Pacific Oceans, today we rename the U.S. Pacific Command to U.S.-Indo Pacific Command,” Mattis said. A routine freedom of navigation operation is the latest in a series of events escalating tensions between the countries. However, outgoing commander of the former U.S. Pacific Command, Navy Adm. Harry Harris, was more direct in his assessment of China’s impact on the region. 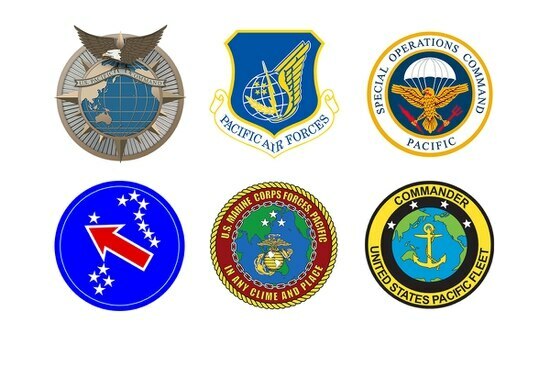 What happens to all the US Pacific Command logos now that it has a new name?